inkXE recently featured in FESPA, the biggest annual Asian exhibition related to printing. 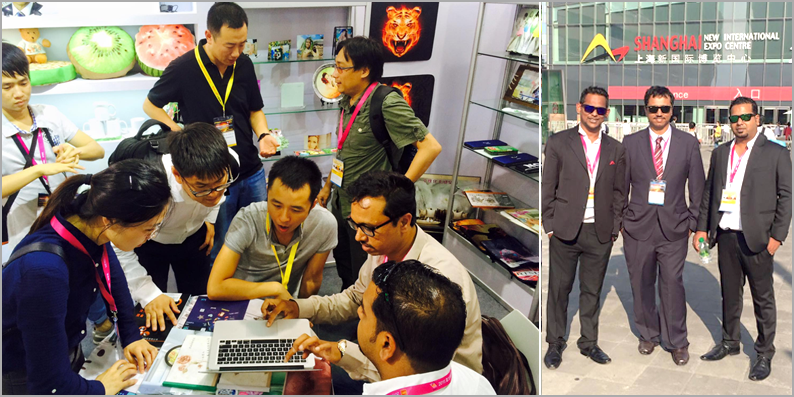 We were in the event at Shanghai, China, from 21 to 23rd October 2015, displaying 400 exhibitors from around the world. The convention also showcased how technology and application is shaping screen, textile, and digital printing at all levels. We got to interact with many entrepreneurs, designers and established businesses. It gave us a new perspective on the print industry and helped us improve our products and services. We also got in contact with a number of exhibitors and learned a lot about their business process and ethics. Looking forward to this year’s’! We also partnered with some printing companies to offer more options to e-commerce print business owners.